Found out on Friday that I was in two, TWO, categories for the 2nd Annual Evernight Readers’ Choice Awards. I’m so excited! 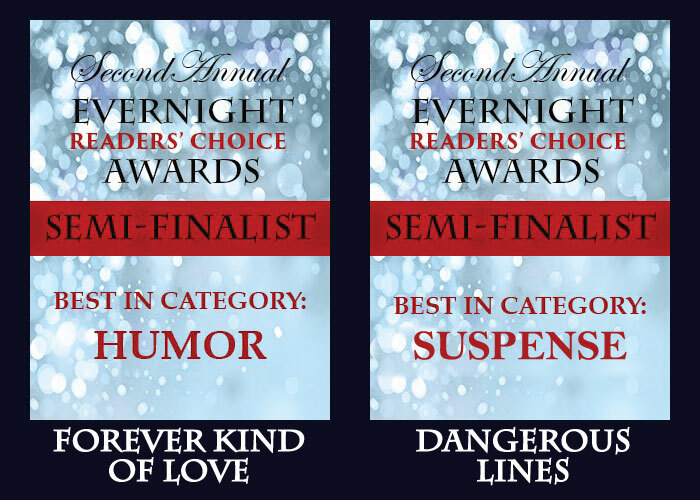 Forever Kind of Love was nominated in the Humor category, and Dangerous Lines was nominated in the Suspense category. I was hopeful that maybe one of my books might make the cut, but to get two books up there is making me seriously giddy. I don’t think I stopped grinning the entire night, lol! It’s just, wow. 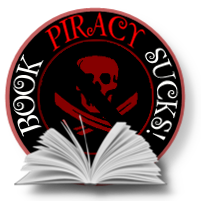 I’m completely awed, and stunned that my readers thought so much of my books to nominate them. I can’t do this job without their support, but to see it showcased so amazingly is heart warming to say the least. It definitely makes the long nights of arguing with my characters to get a scene just right, working and reworking a particular patch of dialogue, and of course the terror of seeing what the editor has done to fix my gaffes all worth it. All I can say is thank you, thank you, THANK YOU! 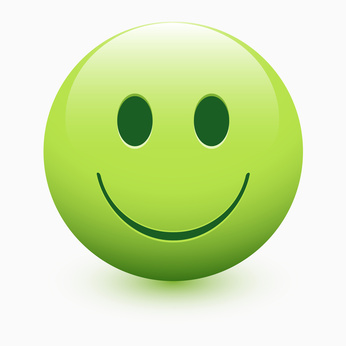 I have amazing readers, and I love you all to bits for your vote of confidence in my works. You guys rock, and make me want to write even more for you to have. But not right off, I have to do a few boring things first like grocery shopping and such things. Then I’ll get to work on some more of that words to page. I’ve already started on C&M Security book 6 (the prequel) that stars Robyn and Grant. I’ve also started a paranormal story too. Not exactly sure where that one is going, but it’s apparently quite happy to lead me on a merry little trail as I meander along with it. It popped into my head, and now it’s not letting go. Sucky thing though is I’m only getting little bursts, bits and pieces really, to add. I think the characters are still trying to figure out where it’s all going to go so they’re only giving up what’s needed to keep it fresh in my head. We shall see. This entry was posted in Books, Publisher and tagged Author, Boring household crap, Me, Publisher, Saturday, Weekend, WIP, Writer, Writing.